If you are involved in any kind of project, you’ll know that project sponsors want to see regular reports. Today I’ve got something for you to make your life a bit easier! It’s a free project status report template that is based on one I use myself for weekly updates to my manager and team. You can adapt it as you see fit to ensure it covers things your colleagues would like to hear about. 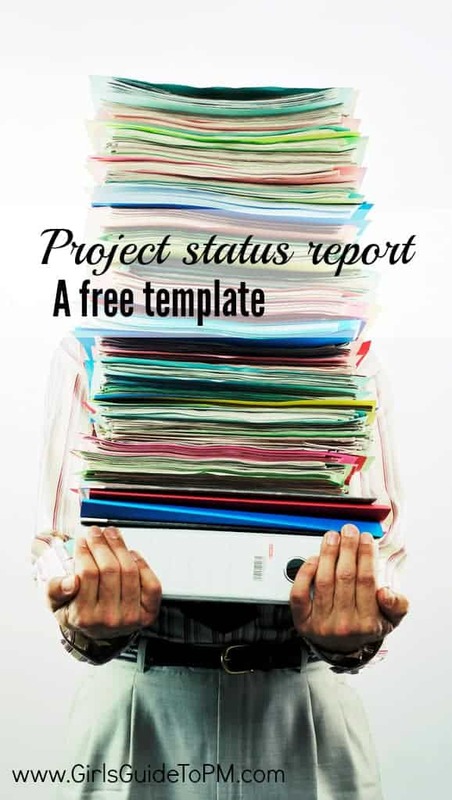 What’s in a Project Status Reporting Template? Who Should Receive the Project Manager’s Status Update? What Format Should Status Reports be in? What If I Need More Reporting Help? Project status reporting is important as it’s the main way you can show your sponsor or client what has happened and what will be happening on the project. It’s your opportunity to showcase the progress made but also to flag any issues. You can help people understand what decisions need to be made. It’s also a good communication vehicle for the normal things project customers want to understand: are we going to hit the dates? How much is this going to cost me? That’s what people really want to know, right? The free downloadable template is a really simple progress update report. It’s designed to showcase what you’ve accomplished over the last week and what you are working on going forward. There aren’t lots of boxes to fill in. I send my reports out on an email, so you can copy and paste the text into an email and schedule it to send on a Friday. Project status reporting shouldn’t be onerous. If your project management software tool doesn’t generate a simple status report for you, then you’ll have to do it yourself, but you really don’t want it to use up too much of your time in the week. This free PDF report template is a light-touch way of keeping your management team – be that your line manager or project sponsor – up-to-date with the work you are doing. I find that regular reporting allows people to back off a bit. Once they trust that you have everything under control, and you do, because you’re showing them the status weekly by sending them a brief report, then the managers who have a tendency to hover at your shoulder find themselves giving you a bit more space. 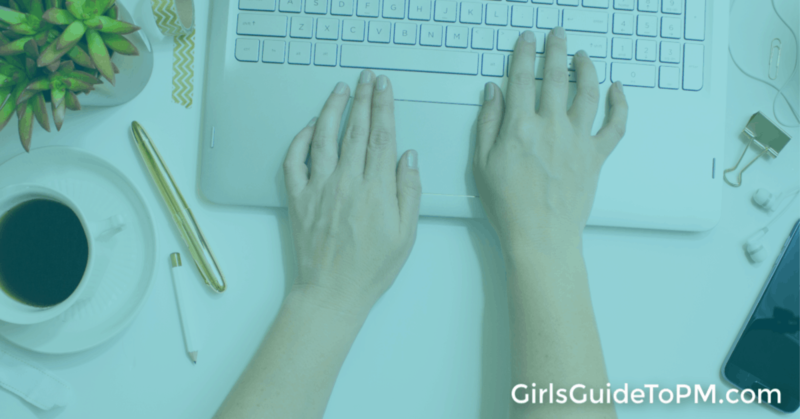 The idea of a status reporting template is to save you time when it comes to – you guessed it – reporting project status. Ideally, your Project Management Office will have a mandated template that you are expected to use. But if you don’t have something formal that you are required to use, you’ll have to come up with a way of reporting yourself. That’s where templates can be helpful. As the format is structured for you already, all you have to do is drop in the content each week or month. Then next time, simply take the old version and update it (save it with a different date or manage the version control some other way so you don’t overwrite your historical reports). Other things you want the team to know about. It’s that simple. You would also want to put a summary statement at the top covering an exec overview of what’s in the report or a short comment on the overall status during this time period. Any risks, issues or changes that need to be formally brought to the attention of the report recipient. Or you could simply bundle those into the ‘other things of interest’ section. 2. Keep the status report as short as possible. 3. Be conscious of how people are going to access the report. Don’t send an attachment if people could just as easily read it in the body of an email. I think as a minimum you should be sending a status report to your project sponsor once a month. However, the free template you can download below is what I used to keep upwards of 60 people informed of a big ERP project deployment. Tip: If you are emailing that many people, put them in BCC! Large, mixed groups of stakeholders won’t want a formal project reporting template that stretches into multiple pages or many tabs. They want a quick overview that highlights progress is being made and what their area is going to be held accountable for during the coming week. 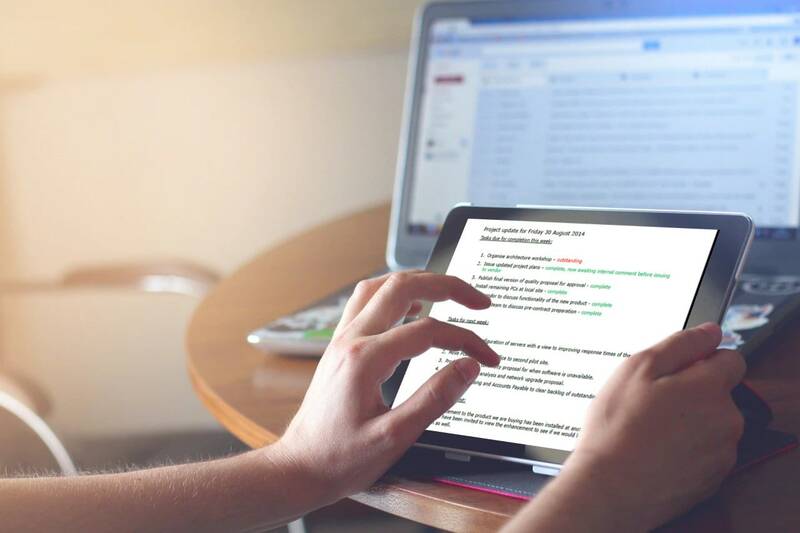 This bullet-point format template provides that quick and easy communication hit. That’s up to you. The template I’m sharing today is a PDF. That means you can’t edit it, but you can copy and paste the text into a document of your choosing or even an email. Honestly, the format is so simple you will be able to recreate it in Google Docs, Word, a spreadsheet or an email.If you are looking for a super-simple project status report summary template in PowerPoint, then I have one of those here. You could grab them both and work out which format suits your needs better. The template is one of a set of free project management templates you’ll find inside my resource library. Enter your email in the box below and you’ll be sent the password to the secret page, and the page link. Inside the resource library you can download whatever you want, without having to sign up or subscribe to anything again. The status report template is a PDF. You can either copy and paste the text from the PDF or if that doesn’t work for you, use the layout as a prompt for your own report. It’s so super-simple that you’ll find yourself using it over and over again, and in my experience people love this kind of status update. There’s nothing too complicated in there and if they want to see more information or for you to deep dive into some detail then they’ll ask for it. The free template is good, but it isn’t going to be suitable for all your needs. If you are setting up a PMO for example, you’ll want your project managers to use something more formal. Equally, on a large project, you’ll benefit from having more sections and more governance than what this status reporting template can offer you. 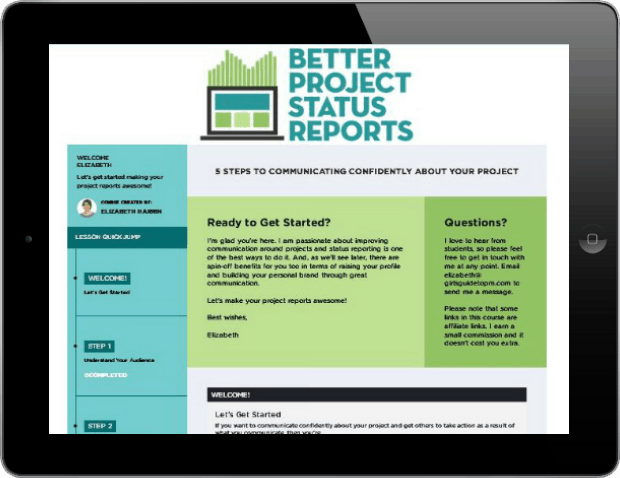 If you need something that goes beyond this simple reporting, I have a whole online short course on how to report project status, which comes with other ideas for how to present your reports, and more templates. There’s so much information in the course: everything from how to identify what your manager wants to hear about through to using the right language to talk about your work to make the best impact. Find out more and sign up to get started here. Not quite ready to download it? Pin it for later. Keen to see this and also any dashboard reporting templates you have. Part of my biggest pain is portraying project status accurately but effectively to project board. Hi Valerie. I saw you downloaded it, so I hope that it is something you can use. I don’t have any dashboard reporting templates at the moment, but it’s something that I might be able to do in the future. I love your blog! I cannot wait to read all your advice as it looks amazing and what a cool name for it too! Thanks, Andrea! I have some great articles planned for the next few months, so hopefully there will be plenty to keep you reading.